from Vertical, Roller, Venetian, Perfect Fit, Awnings, Security and Window Film all at very affordable prices. Being a family-run business we offer the best service to commercial and education in the Midlands where, over the years, we have gained an excellent reputation for high quality blinds and film with a service which is second to none. This excellent, no obligation service begins with an informal meeting during which we will take you through our wide selection of Blinds and Window Film available and how each option will fit your needs. So call us now on 01905 640217 to book your FREE appointment today! Here is a small sample of our quality products. Offering the widest ranges of roller blinds, with hundreds of fabrics, colours and shaped edges. Roller blinds give unrivalled light and screening control so that you the customer can achieve the right effect quickly and simply. With our amazing collection of colours, fabrics and accessories, BPF Blinds put a whole new spin on the roller blind and leads the way in contemporary style and design. These are available with a side winder mechanism or a tension spring. Both systems offer a versatile, beautiful and effective solution to window shading. Vertical Office Blinds have been a constant in many offices across the UK for many years. This is because they are hugely flexible in terms of light let-in, from black out to dim-lit, and have been adapted to working environments, with anti-bacterial and solar protective finishes available. Vertical blinds afford privacy to any office window while still allowing the light in. They are available for all requirements with 89mm and 127mm louvres in a range of colours and textures. All our vertical office blind fabrics are flame retardant. 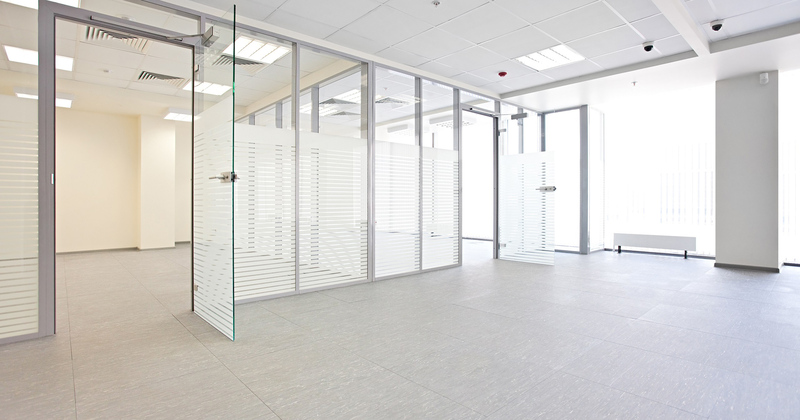 Venetian blinds are perfect for providing a professional, modern look to any office. We offer venetian blinds in aluminium and wood. We have a range of colours to choose from, with slats in 15mm, 25mm, 35mm and 50mm from leading suppliers. Motorised window blinds provide a modern and functional alternative to manually operated blinds. Operated via a remote control, wall control panel or mobile device, select motorised blinds give a professional finish to your working environment. We work with the leading manufacturers to ensure we can fulfil any requirements. Choose the ultimate in blind design and you won’t be disappointed. We programme the devices and provide onsite training on how to operate; all that is left for you to do is press a button and watch the blinds go! Contact BPF Blinds today or call us on 01905 640217 for more information or a free, no obligation quotation. Select motorised blinds to modernise your working environment and make a lasting impression on your guests! Welcome to our Education section. BPF Blinds supply many educational institutions, from nursery schools through to major universities, providing solutions for all their shading requirements. We serve a large area, supplying curtains and window blinds for schools and colleges in The Midlands, Wales and The South West. School blinds are often under very heavy usage. In addition to this they can often be the subject of pupil’s attention, usually ending up with the blinds in a worse condition! When BPF Blinds supply school blinds, we use robust systems that can cope with this treatment. We are also able to provide maintenance and repair service for all your existing school blinds and school curtains. Requirements for shading solutions can change frequently in educational environments. With over 30 years of experience specialising in curtains and window blinds for schools and colleges, we will always be able to find a way to achieve what you need — from laboratory blackout blinds, or high level roof-light blinds, through to the school hall. Child safety is an increasing concern in student areas, particularly in primary schools and nurseries. 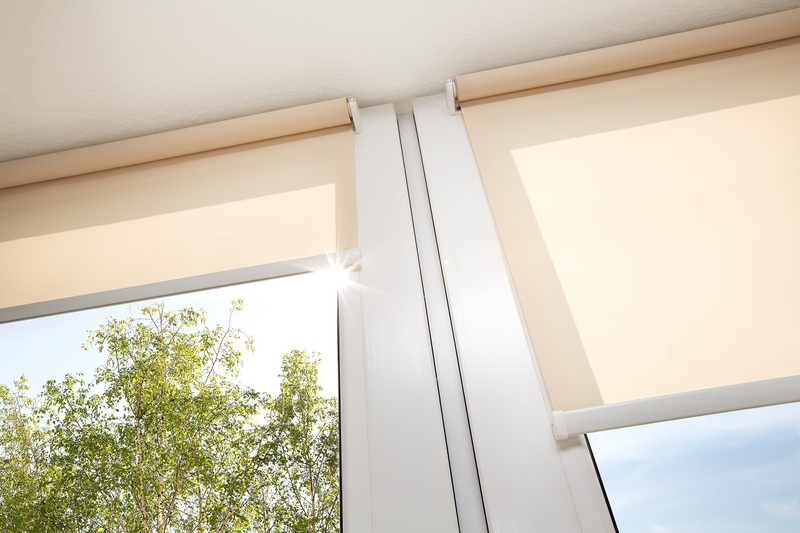 BPF Blinds lead in meeting this requirement with all our school blinds being fitted with chain and cord safety devices. We can also retro fit these safety devices to existing school blinds. Budgetary constraints are ever increasing in the education sector and once again, whether you require school blinds or film, we are able to help with cost effective, competitive products suited to both your financial and shading needs. Welcome to our Corporate section. As one of the UK’s leading suppliers of office blinds, we can be trusted to supply and install the best office blinds for your business. Call us for advice on choosing the right office blinds, or for a free quotation. We offer all types of office blinds to create exactly the environment you require. You decide the level of light control and privacy you require from your blinds and we’ll do the rest. Whether you prefer Vertical office blinds, Roller office blinds or Venetian office blinds, Commercial Blinds and Window Film we can advise you on the best blind for your requirements and deliver the best solution for your office windows. We also ensure our prices are the most competitive on the market for commercial blinds. If you would like to discuss your project. Please contact the team today! Call us on 01905 640217. Roller blinds remain a popular solution for offices, meeting rooms and boardrooms, as they provide a uniform identity to any space and can completely block out windows when needed. Further, they can be emblazoned with corporate or company logos to give added identity to the office space. Roller office blinds are made out of a range of fabrics with varying degrees of translucency. They are all flame retardant and available in a wide variety of colours. We provide roller office blinds with Solar Protective Coating (SPC), which reduces heat gain in the office and glare on computer screens. If you have rooms regularly used for presentations, then Cassetted roller blinds would make an ideal solution, offering complete black out with no possible light penetration. Why not browse our website for examples of the different types of high quality office blinds that we provide. We manufacture, supply and fit a massive range of window film including manifestation, obscure privacy films, reflective solar control films, and safety and security films. Whether you need to brand your glazing with a logo or control and eliminate the danger and damage caused by flying shards of glass in the event of an explosion or attack we have the specific film that you require. Privacy Window Film can be installed to existing glazing to control viewing and make areas more private. The choice of privacy window film will depend on the level and type of privacy required. One way mirror filmReflective window film can be used to protect against the unwanted intrusion of prying eyes, whilst still maintaining the view outwards. It is sometimes referred to as “one way mirror film” or “daylight privacy film.” It is effectively a solar control window film, but also operates as a privacy window film. This added privacy can be achieved whilst still allowing natural light through. We also have dual reflective window films which are less reflective on the inside – for applications when internal reflectivity is not desirable. These also reduce the lighting difference needed to “activate” the one way mirror effect. Whiteout window film and blackout window film, These films are the ultimate privacy window film as they completely stop the passage of light and vision through the glass in both directions and are ideal where 100% privacy is required. Usually Whiteout or Blackout film is required for reasons of security or interior planning – most often because of alterations or refurbishments to a building. It can be used as a temporary or semi-permanent privacy measure. 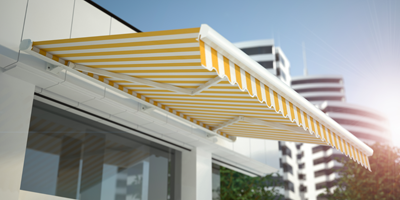 Relax and enjoy your garden with a new Luxaflex awning. Imagine being able to dine outside with friends and family on a warm summer evening even in showery weather. When you buy a Luxaflex Awning your buying over 50 Years of experience providing customers with the highest possible standards of service, fitting and after sales. From design and manufacture to delivery and installation and all with a Luxaflex free 5 year guarantee. We can also offer you electric remote control that at a touch of a button you can sit back, relax and enjoy smooth, effortless control, time after time. Main features: • A wide range of colours and styles that resist fading •	Electric motorised remote control awnings available •	Sun and wind sensors which react even if you are out • Free 5 year guarantee Contact BPF Blinds today on 01905 640217 for more information or a free, no obligation quotation. BPF Blinds are a leading supplier and installer of Commercial, Education Blinds and Window Film. To ensure you have one point of contact and that we co-ordinate our technical, manufacturing and installation teams to meet your requirements every project we undertake has a dedicated Project Manager. As specialists in the commercial and Education sector we only offer products with a proven track record in these markets. We provide all types of internal and external window blinds, cubicle and curtain tracks as well as shutters and window film. All our solutions are designed for the environments in which they will be used. You can be assured of attention to detail in product design, manufacture and installation due to our extensive experience and our quality procedures to ensure products are fit for purpose. With extensive experience BPF Blinds have provided Blinds and privacy solutions to commercial and Educational buildings across the Midlands, Wales and the South West. BPF Blinds have particular expertise in the educational sector and have proven solutions for these demanding environments. All BPF Blinds staff is directly employed, enabling us to control the quality of the work carried out. All site staff are CSCS accredited. BPF Blinds also practice continuous Health and Safety development of all staff. In addition to this BPF Blinds is a member of the BBSA (British Blind and Shutter Association). You can be secure in the knowledge that only the highest quality products are supplied and as such are offered with a comprehensive guarantee. The best testament to our product quality is that claims under our guarantee are extremely rare.